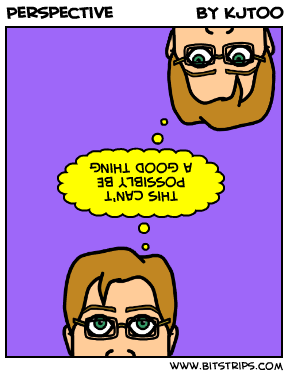 Bitstrips: Perspective | Kris Johnson's Blog…sort of. Bitstrips allows you to assign a genre to each of your strips, the default genre being Comedy. For “Perspective“, I thought it best to go with the Experimental genre. Previous PostBitstrips: Pumped Up, On Originality, Bigger on the InsideNext PostThe Secret Lair…Illustrated!